Toronto real estate is super expensive, which is why there’s so much political support for first-time buyers… right? What if we told you first-time buyers might be a large part of why prices are so high? Altus Group, a massive real estate insight company, published survey results on first-time buyers. The claim that first-time buyers need more support to get into the market seems to be largely unfound. In fact, the survey showed that inexperienced buyers are likely a significant driving force in this price expansion. 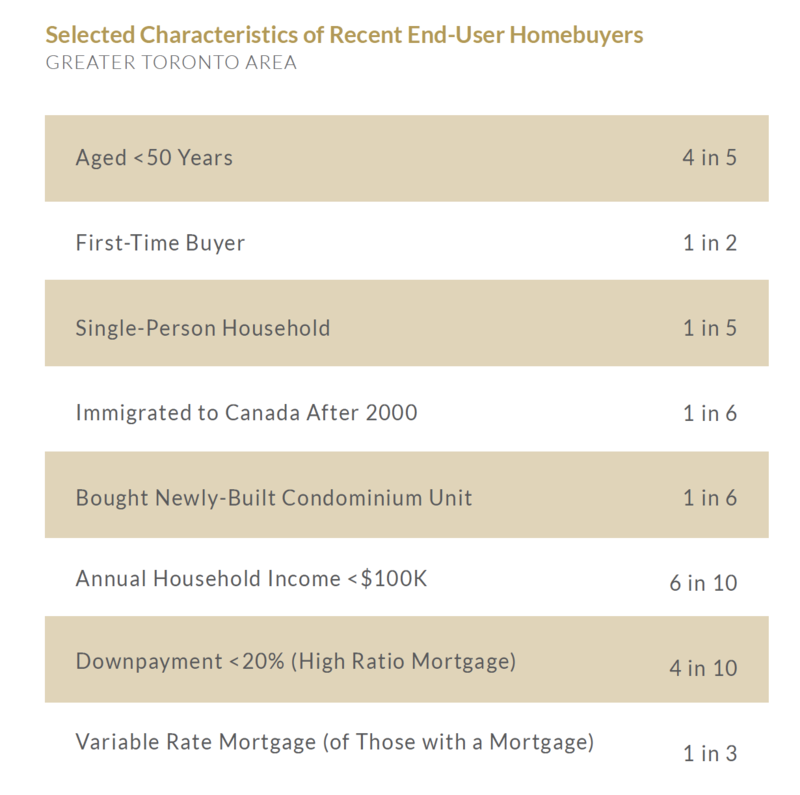 Toronto real estate buyers have been relatively young, inexperienced, and don’t make all that much cash. Over the past 5 years, 4 in 5 buyers were less than 50 years old. 1 in 2 buyers were first-time buyers. 6 in 10 had household incomes lower than $100,000 per year. 4 in 10 used a high-ratio mortgage, meaning they had a downpayment lower than 20% of the value at purchase. Also, a third of these buyers are on variable rate mortgages. We know, you can’t pay attention to anything other than half of recent buyers were first-time buyers. Shatters quite a few narratives. 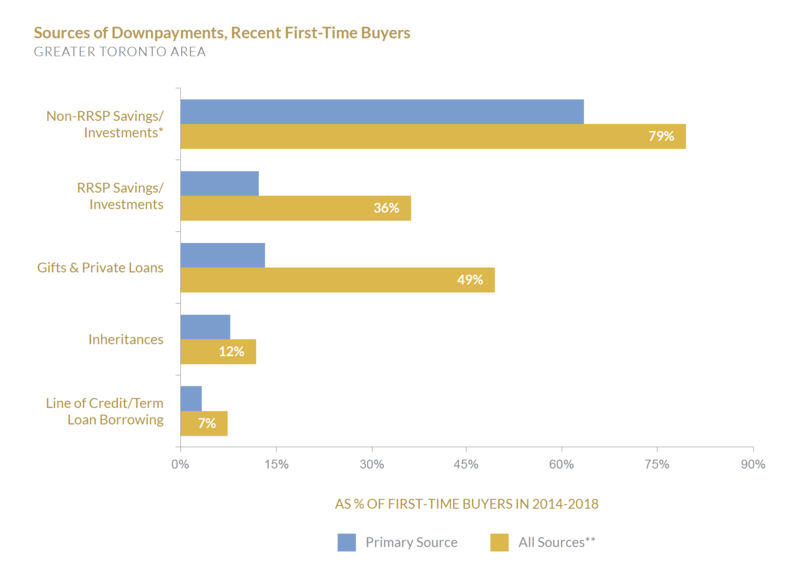 How Did First-Time Buyers Pay For Their Home? First-time buyers actually represented a significant portion of the market, but how are they paying for these homes? Using an aggregate of survey sources, Altus found that 79% of homebuyers tapped non-RRSP savings and investments for their downpayment. 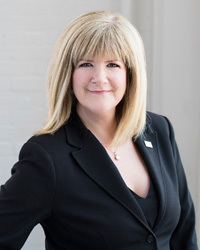 36% used savings and investments held in their RRSPs. 49% of them used gifts and private loans from friends and family. 12% tapped their inheritances, and another 7% used a line of credit. The survey data runs from 2014 to 2018, and Altus notes it includes multiple sources which add up to more than 100%. First-time buyer sources of downpayment are interesting, because of the concentration of net-worth. By selling or removing income from their investments and RRSPs, like 79% and 36% of people did, they’re placing a lot of risk in a single asset class. Further, those that borrowed the downpayment from friends and family, also have less equity in the home than most people assumed. One more takeaway is re-considering the effectiveness of first-time homebuyer programs. Typically, although never publicly discussed, first-time homebuyer programs are expanded at the end of a housing cycle. The reason being the end of the housing cycle means a rise in unemployment, creating distressed asset holders. The “overhang” is thus reduced by allowing first-time homeowners to help mitigate some of the losses of distressed buyers. 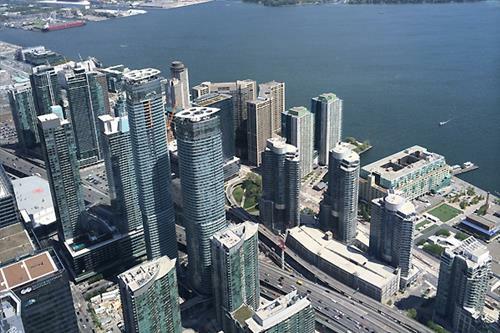 If half the market is already first-time buyers, Toronto will be creating a lot less liquidity than expected.